With the release of the iPhone 5 and iOS 6, Apple has once again re-invigorated the mobile market with beautiful new design and functionality updates to the operating system. But as a mobile music producer, should you upgrade to the new OS or purchase that shiny new iPhone? Read on for our analysis. Apple’s new iPhone 5 comes packed with features designed to make our inner-geek buzz with excitement. It’s got a larger screen, a new A6 processor, an 8MP camera, sleek new design, and even updated headphones. So far it looks to be a winner. Apps load quickly, the new screen looks gorgeous, and new headphones are a nice upgrade to sound quality from the previous standard earbuds. But there’s one other change to the iPhone’s design that may want to consider before making the upgrade: Apple’s new Lightning connector. Apple’s Lightning connector is a new, proprietary, adapter that replaces the previous 30-pin connector that has been used on almost every iOS device that Apple has designed over the past decade. You might have missed this feature when reading about the iPhone 5 because the information is cleverly inserted into a list of other features that make it sound like a nice upgrade when you read, “the intelligent, reversible Lightning connector is 80 percent smaller than the 30-pin connector.” And this new connector does have some advantages over the old one. It’s smaller, faster, reversible (no more fiddling to find the right side), all digital, more durable, and easier to connect. But this also means that every iPhone dock that you own (and is currently on the market) has suddenly become obsolete. There is, of course, a short-term solution to this dilemma. Apple offers a Lightning to 30-Pin adapter in a couple of varieties ($29) that should allow you to use your 30 pin devices with your iPhone 5. So for your iConnectMIDI, USB Connection Kit, or portable keyboard, this should be no problem. On the other hand that’s another $30 and one more peripheral to carry around. The Apple adapter is currently the only way to use your 30-pin peripherals with the iPhone 5, but Engadget reports that Bose, BLW and B&O are all currently working new sound docks that will use the new Lightning port. It’s also worth noting that this new Lightning connection port has also appeared on the latest iPod touch, which leads us to believe it will also be the standard for the iPad Mini (due in October) as well. For more detailed information on Apple’s Lightning connector, gadget blog TechCrunch has put together a nice list of pros and cons on the subject. 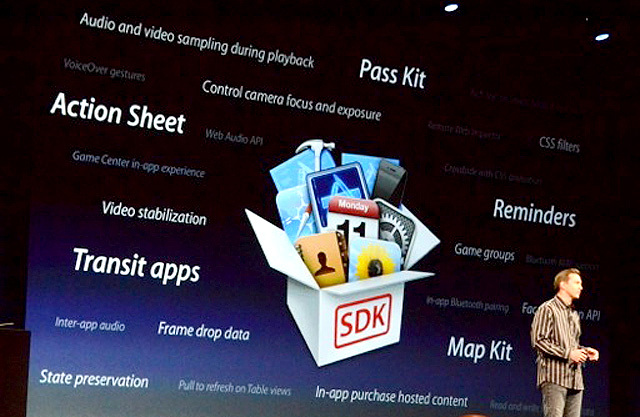 The launch of a new iPhone traditionally comes a new operating system, in this case Apple’s iOS 6. The good news for music producers is that Apple has included a few powerful updates to the OS that will expand the potential for music production on the operating system and expand the functionality of many future applications. Note: This update is specific to the newer iPhones, iPads, and iPods. iOS 6 will not work with the first-generation iPad, any iPhone version previous to 3G, or iPod Touch previous to generation four. With the addition of audio and video sampling during playback, there is now potential for many new ways to creatively develop audio applications for iOS. Audio capture applications like Soundflower, Audio Hijack and WireTap could be making their way to the iPhone very soon. There is also potential for screen recording applications to capture video of your iOS device in use. Inter-app audio has been in the works for some time now via Audiobus, a framework that allows routing between certain applications, but Apple seems to have embraced this technology with iOS 6. 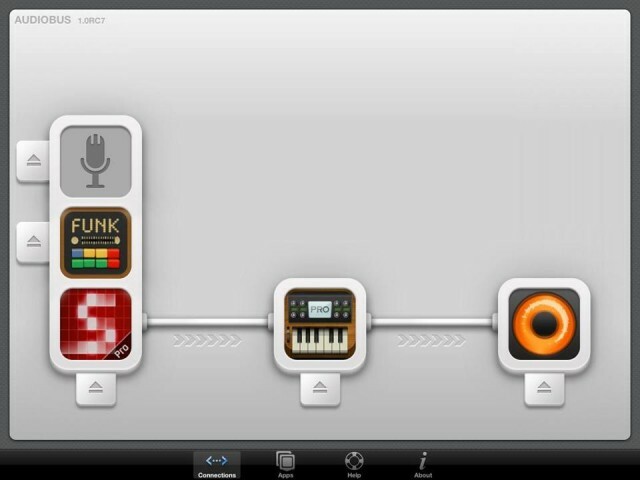 Audiobus has recently been approved by Apple and is currently being tested with applications including SoundPrism Pro, Loopy, NLog Synth Pro, Funkbox, and BeatMaker2. While it’s still in development, you can read more about Audiobus and the recent photo leak (above) in Synthtopia’s interview with Audiobus developer Sebastian Dittmann and beta user Tim Webb. 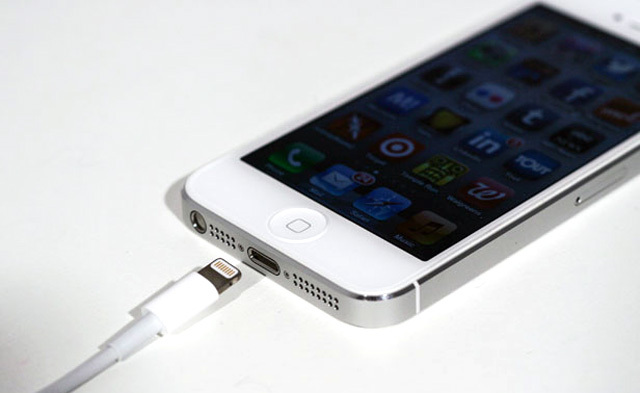 If recent history is any indication, iOS 6 and the new Lightning connector will dominate the future of application and peripheral development for the iPhone, iPad, and iPod Touch. Have you updated to iOS 6 or purchased the new iPhone? What are your impressions? How do you feel about your old iPhone docks and peripherals becoming obsolete with the introduction of the Lightning connector? Tell us your thoughts!